Winsome Harvey Girls return to the stage! 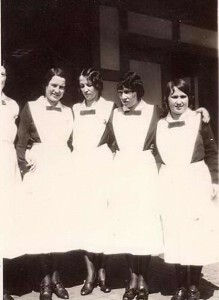 You won’t want to miss this dinner theater production of “Harvey Girls!” This three-act play written by Post resident Rosa Latimer accurately tells the story of the Harvey Girls who came west to work in the Harvey House restaurants established along the Santa Fe Railroad. Ms. Latimer is also the author of a series of books about the Harvey Houses of the southwest. Dinner and performance at the historic Heritage House, 109 N. Avenue N in Post, TX, Saturday, Sept. 24, 2016 at 6 p.m. Tickets are $30/person and includes dinner and the play. Seating is limited. Reservations are required by calling 806-495-4148 or email ccarts@poka.com. The Caprock Cultural Association is very happy to have historian Lou Burleson return to the Heritage House on April 8, 2016 for a performance that tells the story of the “WASP” – women Airforce service pilots. The event begins at Noon with lunch. The WASP program was formed during the early part of World War II to compensate for a critical shortage of male pilots. Women were trained as licensed pilots to help relieve the shortage. Approximately 25,000 women applied, 1,830 were accepted into the program. These women were never officially accepted as military until 1977 when President Jimmy Carter signed a law making it official. 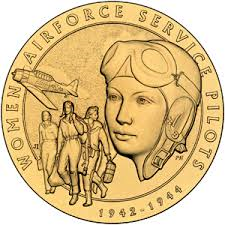 The Women Airforce Service Pilots were trained at Avenger Field in Sweetwater, Texas. A National WASP museum has been established at Avenger Field to honor this part of Texas history. This event is sponsored by the Caprock Cultural Association. Cost for the event is $12/person and reservations are required by Wednesday, April 6. Call 806-495-4148 or email ccarts@poka.com for more information or to make your reservation. 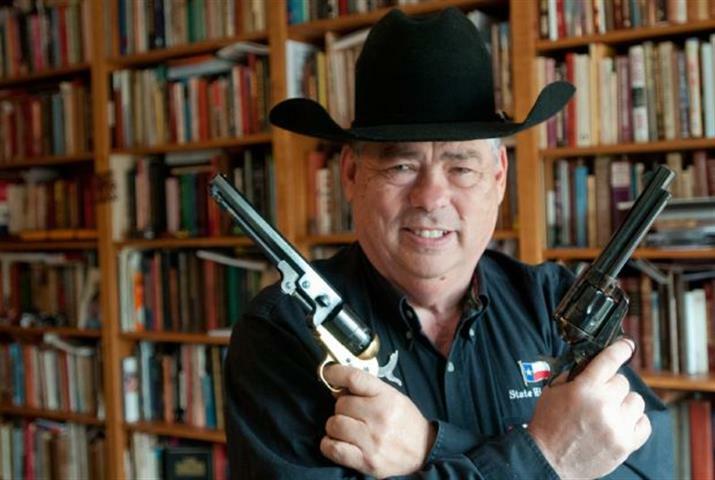 Texas State Historian and Author Bill O’Neal will share stories from his latest book, Texas Gunslingers at the Heritage House in Post July 14, 2015 at 6:30 p.m. O’Neal will also tell the history of the guns in his vintage collection. The collection will also be on display. O’Neal is the author of The Bloody Legacy of Pink Higgins and The Johnson-Sims Feud. Both of these popular books are set in Garza County. 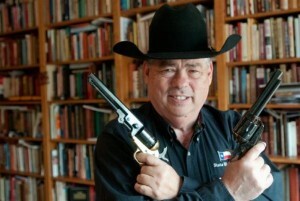 These books and Texas Gunslingers will be on sale after the presentation. The free event is sponsored by the Caprock Cultural Association. 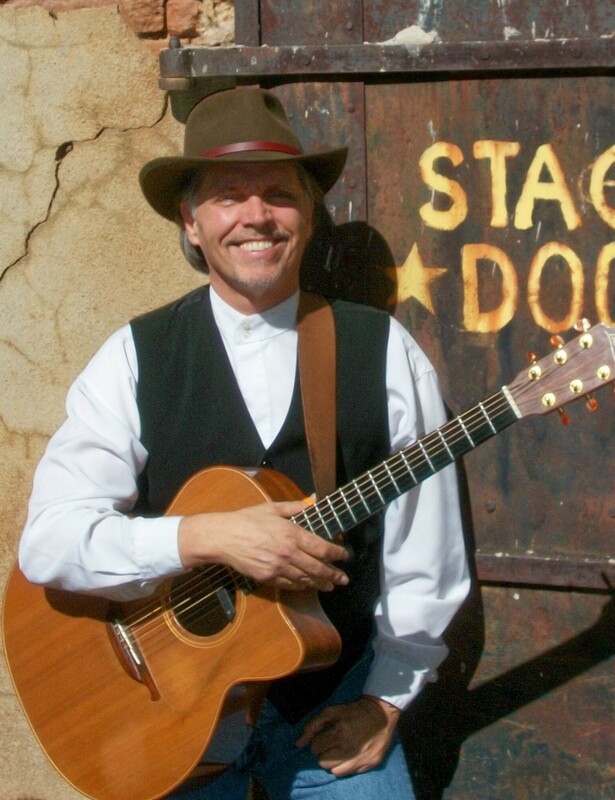 Enjoy a lighthearted concert April 21, 2015 at the Heritage House in Post presented by nationally recognized musician and storyteller, Jerry Barlow. Come early for an informal wine and cheese reception beginning at 6 p.m. and be ready for some fun as Jerry shares traditional Celtic pieces and lively jigs starting at 6:30 p.m. Often heard on National Public Radio – we are fortunate to have a musician of this caliber in Post! The reception and concert are free. This event is co-sponsored by Post Public Library and the Caprock Cultural Association. Funded in part by Xcel Energy. Published Sept. 4, 2012 @ 10:32 a.m. Updated Sept. 10, 2012 @ 9:37 p.m.
John Erickson, author of the “Hank the Cowdog” series of books will perform in Post Sept. 11, 6:30 p.m. in the Elementary School Auditorium. 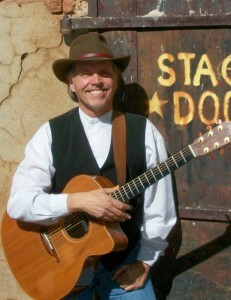 Erickson’s appearances in Post are sponsored by the Caprock Cultural Association, Ruby Lane Books and Judge Lee Norman. He will also perform for Post Elementary 2nd – 5th graders at 1:30 p.m. Sept. 11. Erickson will also be at Ruby Lane Books, 127 E. Main St. in Post 4:00 – 5:30 p.m. for a book signing and to meet his fans. Post native, C. David Morrow, will present a concert Saturday, August 27, 7:00 p.m. at the First United Methodist Church, 1011 W. 10th St. in Post. The vocal concert and reception are sponsored by the Caprock Cultural Association and will honor the 50th anniversary of the Post Art Guild. The reception will be at the Heritage House, 109 N. Avenue N, Post immediately after the concert. More information can be found on the Garza Post website.